How is GST going to affect MSMEs? 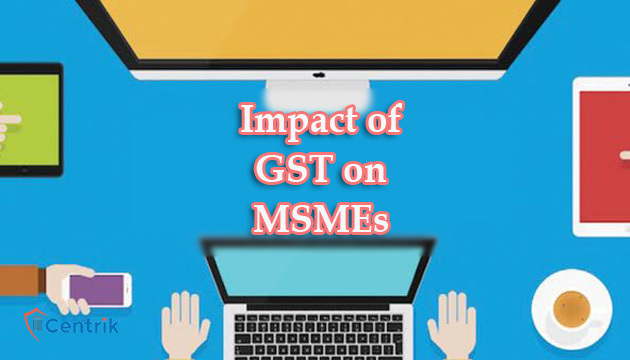 CentrikBlogsTax AdvisoryAll About GSTHow is GST going to affect MSMEs? GST or Goods and Services Tax is an indirect taxation in India which is supposed to merge most of the existing taxes into a single system of taxation. The targeted date for implementation is 1st July 2017. GST will be under dual taxation format, CGST (Central Goods and Services Tax) and SGST (State Goods and Services Tax). The question is “How will it impact the MSMEs of India?”. As per the current tax structure, businesses with a turnover of more than INR 5 lakhs are obliged to pay a VAT registration fee. The government has increased the exemption limit under GST to INR 25 lakhs. This step will give relief to over 60% of small dealers and traders. GST ensures that there is no confusion between goods and services. This will remove various complications in legal proceedings related to the packaged products. Hence, there will no longer be a distinction between the material and the service component, which will reduce tax evasion. GST will bring unified tax laws and I sincerely hope that it will impact the MSMEs positively.